David Asscherick to speak in Franktown this weekend » David Asscherick, co-director of Lightbearers and co-founder of ARISE, will speak at the Franktown (Colo.) Seventh-day Adventist Church this evening (Friday) at 6:30 p.m., and Sabbath morning at 11 a.m. There will also be a fellowship lunch after the Sabbath service, followed by a third and fourth presentation by Asscherick, who is a well-known Adventist author, speaker, and revivalist. All are welcome! Come early! Seating is limited. The One Project meetings to be live streamed from Seattle » Japhet De Oliveira, senior pastor of the Boulder (Colo.) Seventh-day Adventist Church, and co-founder of the One Project, shares that this year's One Project sold-out meetings will be live streamed from Seattle at 9 a.m. on both Monday and Tuesday (Feb. 10-11) on the Hope Channel website. Click here to get a code to watch for free. Click here to view or print the journal for the full experience. 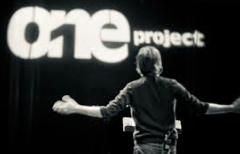 Visit the One Project website for more information about the upcoming event. Glacier View Ranch faces water challenges » Dan and Julia Hansen, our GVR camp managers, have requested your prayers regarding a water situation at Glacier View Ranch. The wells are not producing at the volume they have historically produced. There appear to be a number of underground leaks, and they are trying to identify where they are and how best to remedy the situation. Your prayers are greatly appreciated. There are numerous opportunities to volunteer at the camp. If you would like to connect with your GVR team, please feel free to contact Dan or Julia at 303.459.0771 x11. Marriage revival focus at Twin Peaks » On February 15th, the Twin Peaks Church, in Louisville, Colo., will launch its marriage revival classes. 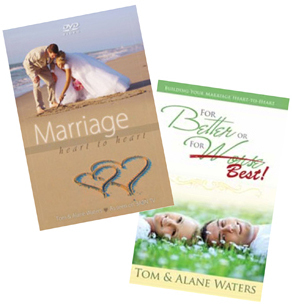 Featuring the Marriage Heart to Heart videos and the book For Better or For Best from Restoration International Ministries, each class will include a video presentation and discussion. This isn’t just for married couples! Youth and couples considering marriage are also welcome! In fact, bring the family, as childcare will be provided. The one hour classes will begin at 2:30 pm every first and third Sabbath at the Twin Peaks Church. No materials are needed--only a spirit that is ready to learn! For church address and contact info, visit www.twinpeakssda.org. 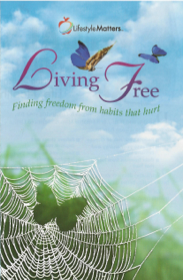 Lakewood Fellowship launches Living Free series » Rhonda Gadway shares that the Lakewood (Colo.) Fellowship is offering the "Living Free" series on how to break free from habits (including work, food, etc.). The first meeting was held last night, and in spite of the cold weather, there were approximately 25 in attendance. It's not too late to sign up for this series. The program meets at 6:30 p.m. over the next five Thursday evenings! There is a textbook, and food samples for all in attendance. The cost is $60/each or $80/couple. Contact Rhonda via email or at 303.854.8494 to reserve your materials and secure a seat. Click here to view a brochure with more information. Vista Ridge Academy hosts classic movie night » Join Vista Ridge Academy for family entertainment tomorrow evening, Saturday, February 8, at 6:30 p.m. 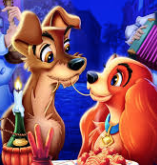 The nostalgic charmer Lady and the Tramp is a fun classic for all ages. Home and School and Student Association are teaming up to provide free hot dogs, popcorn, and candy while supplies last. Bring a bean bag, pillow, or picnic blanket! Vista Ridge is located at 3100 Ridgeview Drive, Erie, CO 80516. Call 303.828.4944 for more information. Share good news » If you have a ministry or evangelism story to tell, please email it to [email protected] so we can share how God is working through His people in your territory.